Very Good. 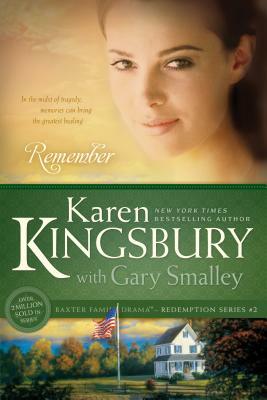 Remember (Redemption (Karen Kingsbury)) by Kingsbury, Karen, 2003-01-31. Trade paperback (US). Glued binding. 432 p. Redemption (Karen Kingsbury), 2. New. Series: Redemption (Karen Kingsbury). Num Pages: 402 pages. BIC Classification: FW; HRCV. Category: (G) General (US: Trade). Dimension: 210 x 142 x 26. Weight in Grams: 330. 2009. Reprinted. Paperback.....We ship daily from our Bookshop. "Purchased books for my mother, she is very happy with any of the Karen Kingsbury books." The "Remember" series are great. I liked the way all 5 books worked together. Remember was a very interesting read. You just don't want to put these books down. Her books deal with today's happenings and almost everyone can relate to the story in one way or other. This book is a must read it is wonderful yet sad at times. I will recommend this to everyone.